German interior minister Horst Seehofer offers to resign after rejecting Chancellor Angela Merkel’s EU migration deal. German Interior Minister Horst Seehofer has offered to resign after rejecting a migration deal brokered in Brussels by Chancellor Angela Merkel, as the two leaders prepare for final talks on Monday. 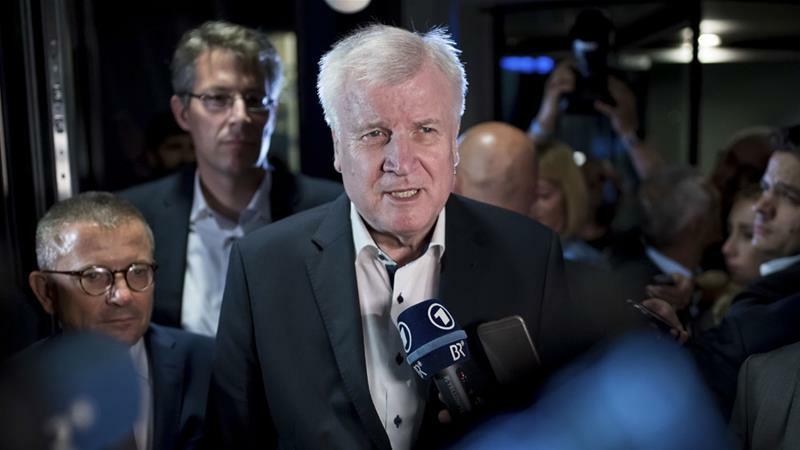 Early on Monday, Seehofer confirmed he would offer to step down from the posts, while party leaders are reportedly trying to convince the minister to stay put.